I’m devoting my first weekend to a spot of shopping. More precisely, household stuff. Little things to make me feel more at home. First stop of the day was Lafayette Maison, where everything was out of my budget but so pretty to look at. Perhaps another shop then. As we approached rue St Lazare, across the road, there it was, Église de la Sainte-Trinité. 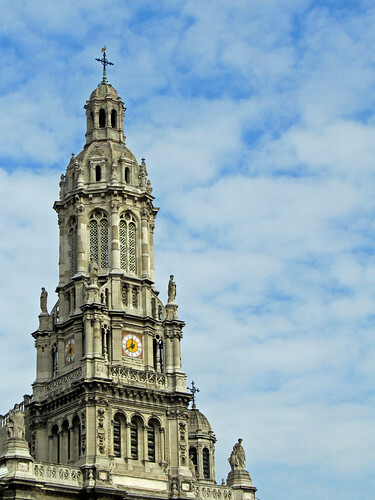 Nestled in the 9th arrondissement, the bright golden clocks on all side of its bell tower are eye-catching and certainly not a sight commonly seen as part of church exterior. I’ll have to add this to the list of churches I’d like to visit. It’s certainly growing fairly rapidly in this city!